Back in the day, the iPhone 4 antenna problems were a hot topic. They seemed to be a major problem for the iPhone and a case study in how Apple's arrogance didn't serve it customers. But was that true? The problems the iPhone 4 had with its antenna are not always well understood, especially because not every iPhone 4 experienced them. What Is the iPhone 4 Antenna Problem? 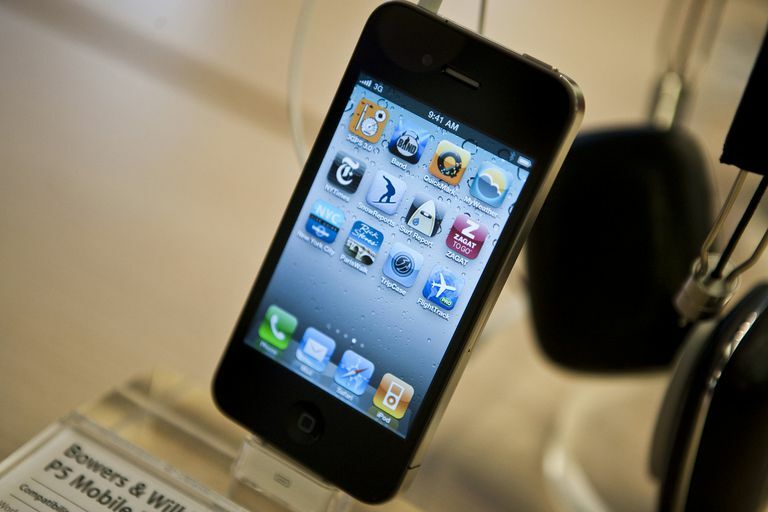 Not long after the release of the iPhone 4, some owners found that the phone dropped calls more often, and had a harder time getting good cellular signal reception, than other iPhone models or competing smartphones. Apple initially denied there was a problem, but after sustained criticism, the company launched its own investigation of the reports. Apple determined that there was a problem with the design of the phone's antenna that caused an increase in dropped calls. What Causes the iPhone 4 Antenna Problems? One of the major differences between the iPhone 4 and earlier models was the addition of a longer antenna for connecting to cellular phone networks. Ironically, making the antenna longer was designed to improve signal strength and reception. In order to fit the longer antenna without making the phone much bigger, Apple threaded the antenna throughout the phone, including exposing it on the bottom outer edges of the device. The problem the iPhone 4 experiences with its antenna has to do with what’s called "bridging" the antenna. This occurs when a hand or finger covers the antenna area on the side of the iPhone. Interference between the human body and the circuit of the antenna can cause the iPhone 4 to lose signal strength (a.k.a., reception bars). Does Every iPhone 4 Experience the Problem? No. That’s one of the complicated things about the situation. Some iPhone 4 units were hit by the bug, others were not. There doesn’t seem to be any rhyme or reason to which units were affected. To get a sense of the full scope of the hit-or-miss nature of the problem, check out Engadget’s comprehensive post surveying two dozen tech writers about their experiences. Is This Problem Unique to the iPhone? No. It got a lot of attention because the iPhone is so popular and influential, but lots of cellphones and smartphones experience some drop in reception and signal strength if users place their hands where the phones' antennas are located. It depends on where you are, actually. The consensus about the problem is that bridging the antenna causes a drop in signal strength, but not necessarily a total loss of signal. This means that in an area with full coverage (all five bars, for example), you’ll see some decrease in signal strength, but not usually enough to drop a call or interrupt a data connection. However, in a location with weaker coverage (one or two bars, for instance), the drop in signal strength may be enough to cause a call to end or to prevent a data connection. Luckily, the way to fix the iPhone 4 antenna problem is pretty simple: prevent your finger or hand from bridging the antenna and you'll prevent signal strength from dropping. Steve Jobs' initial response was to tell users not to hold the phone that way, but that’s obviously not a reasonable (or always possible) option. Eventually, the company relented and instituted a program under which users got free cases to cover the exposed antenna and prevent the bridging. That program is no longer active, but if you have an iPhone 4 and are having this problem, getting a case that covers the antenna and prevents your body from coming into contact with it should do the trick. A lower-cost alternative is to cover the left-side antenna with a piece of thick tape or duct tape to prevent the contact. Do Other iPhone Models Have the Antenna Problem? No. Apple learned its lesson. All models of the iPhone since the 4 have had differently designed antennas. The call-dropping problems related to the antenna design haven't occurred again on Apple devices. Besides this antenna problem, Apple has experienced a number of controversies over the years. Dig into them in The Biggest Controversies in iPhone History.